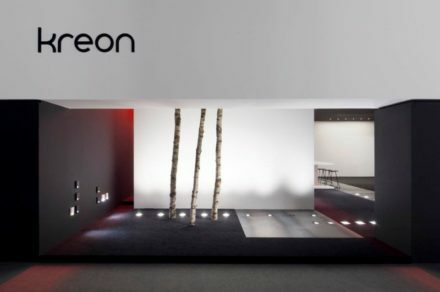 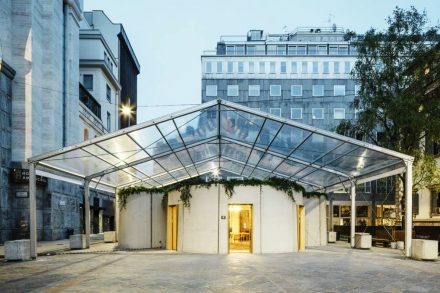 Architecture / Design Event / Design News / Salone Milan 2018 / Where I would rather be ! 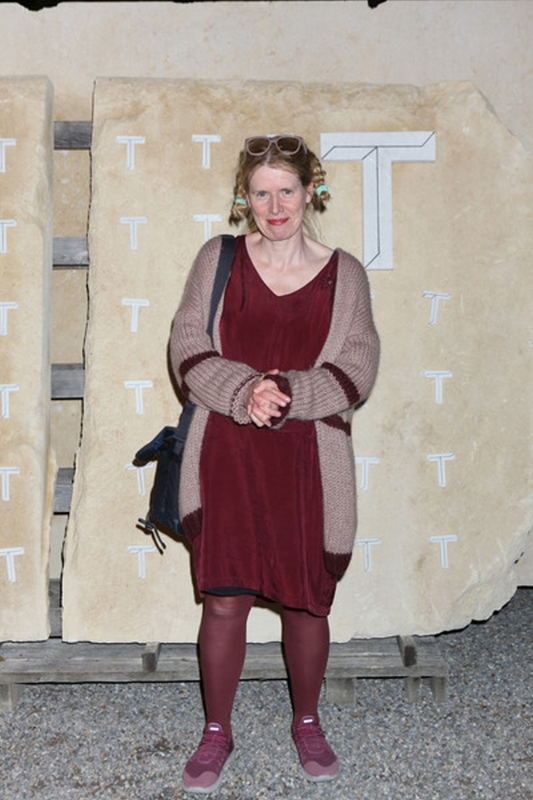 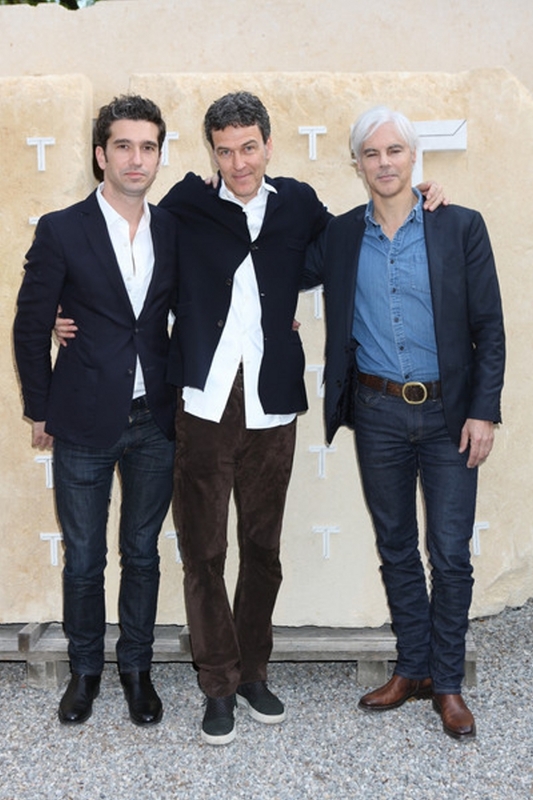 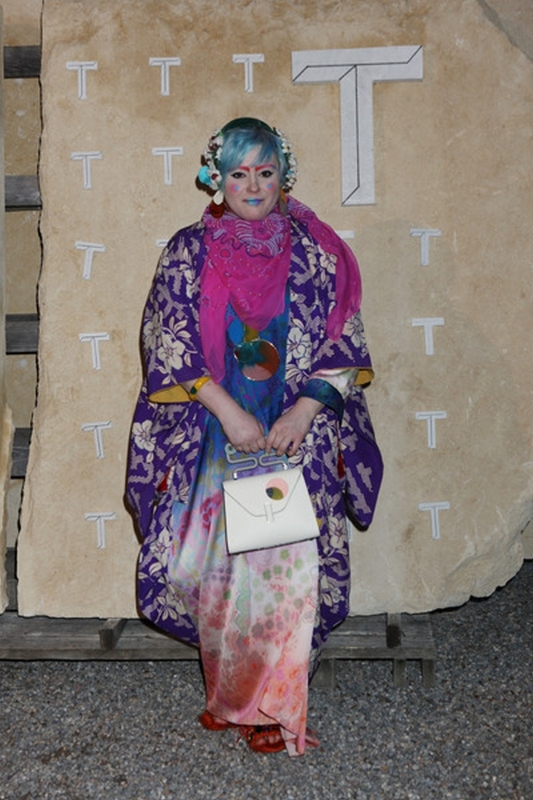 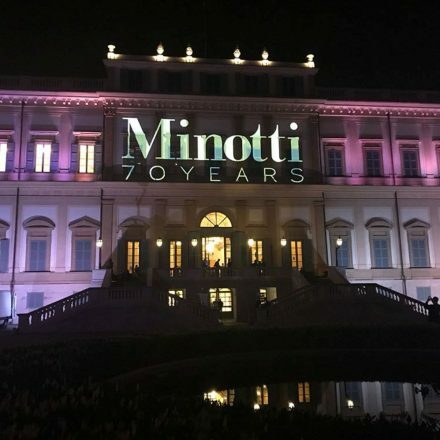 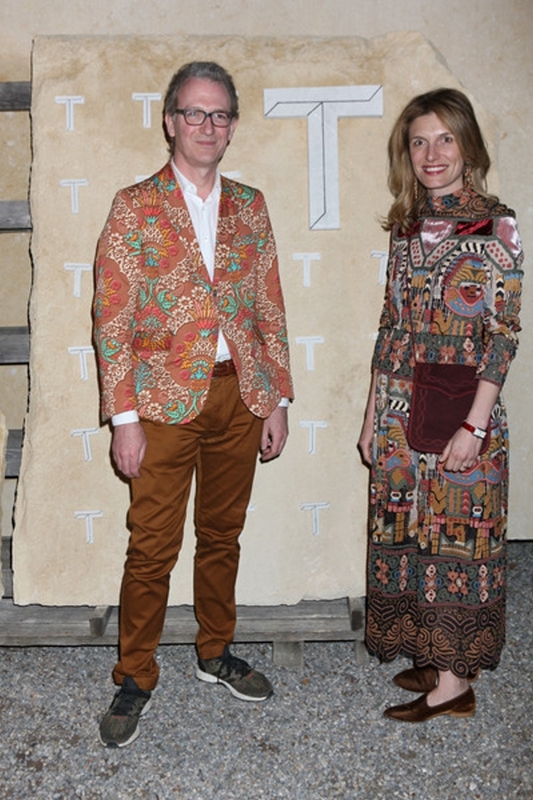 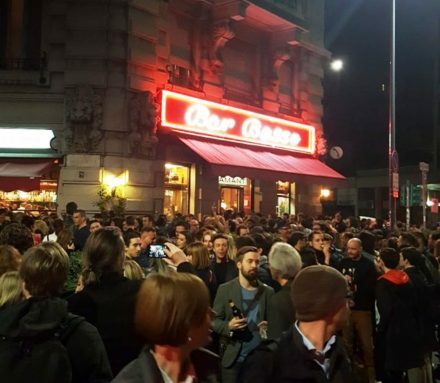 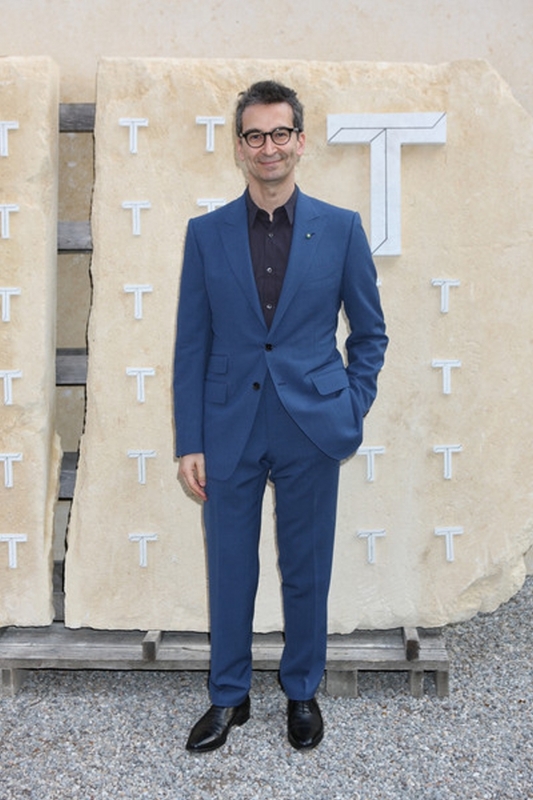 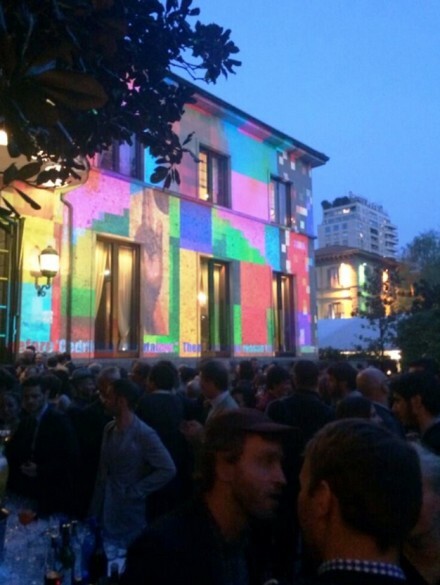 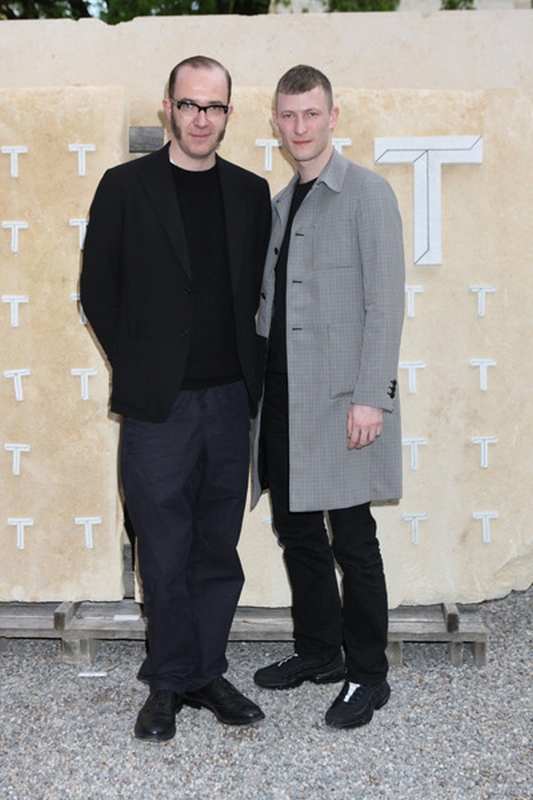 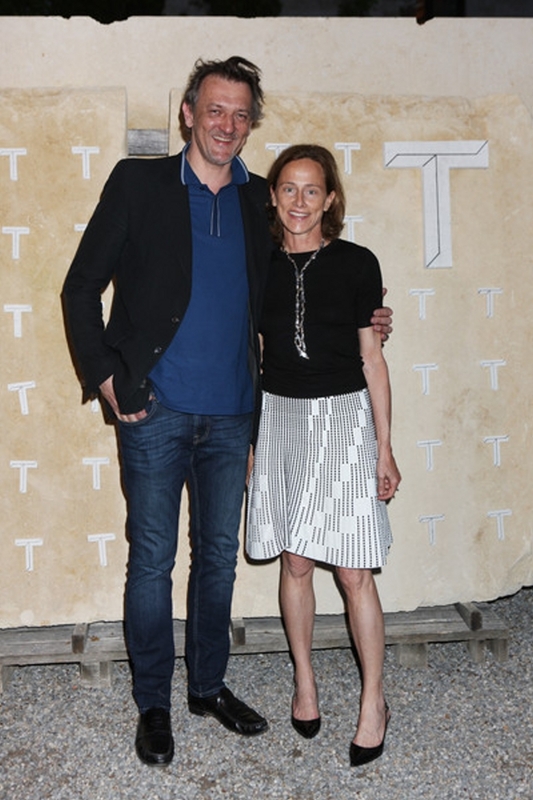 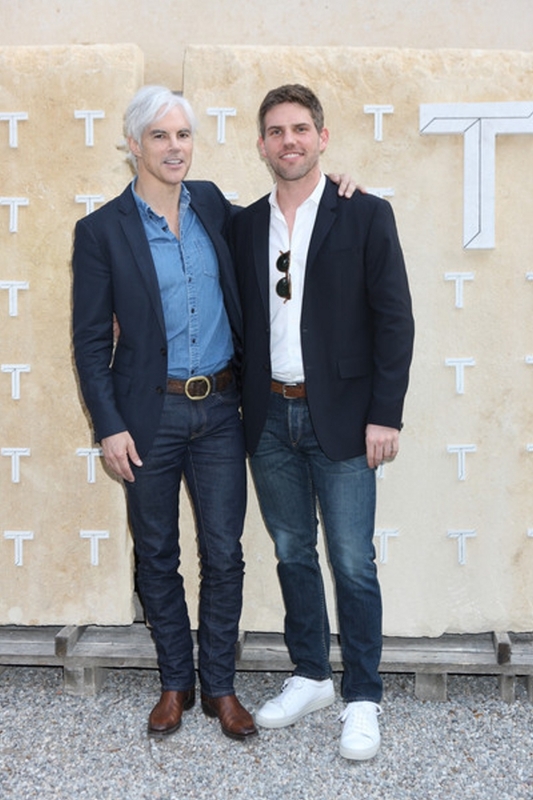 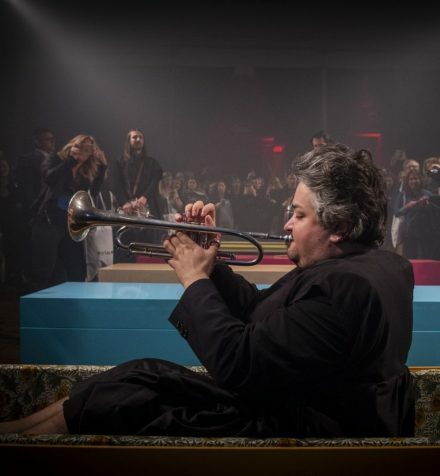 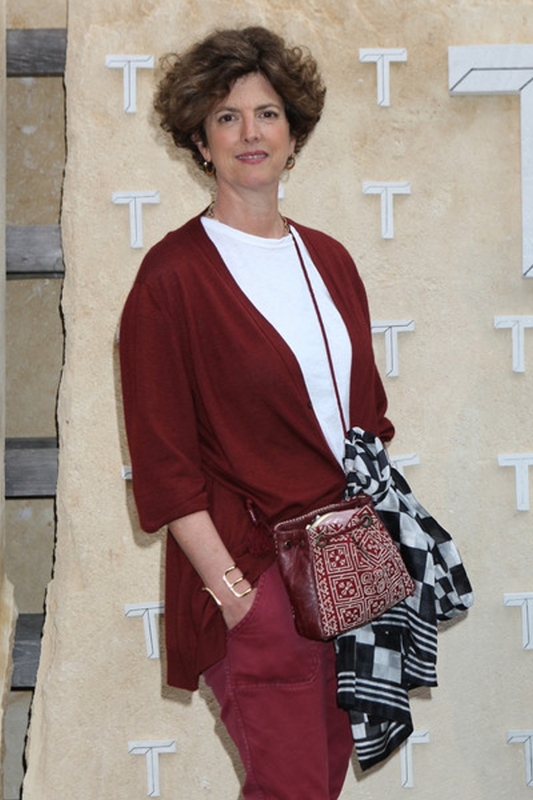 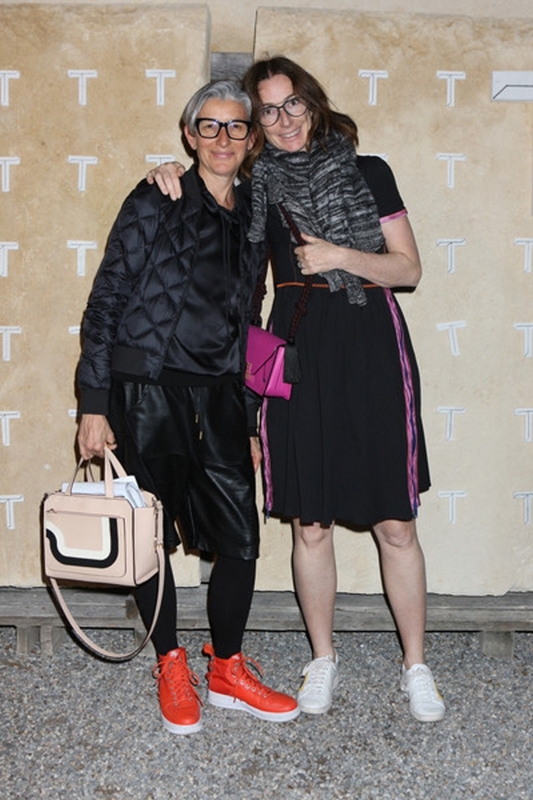 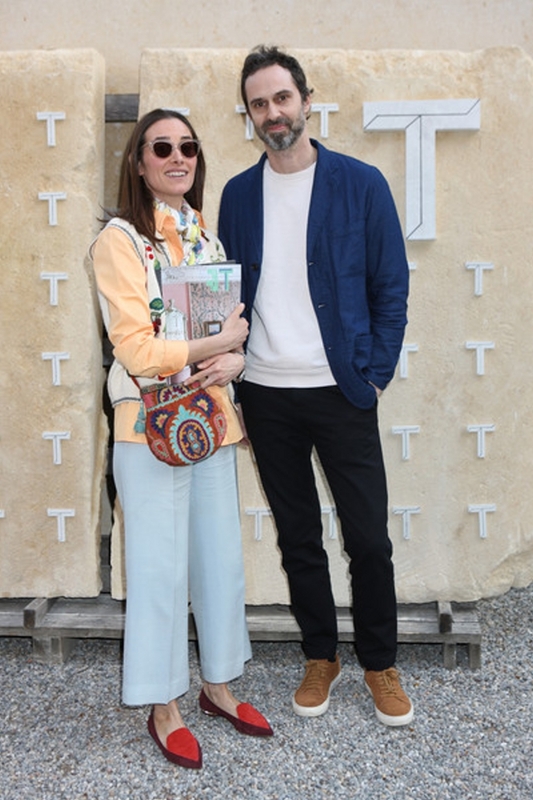 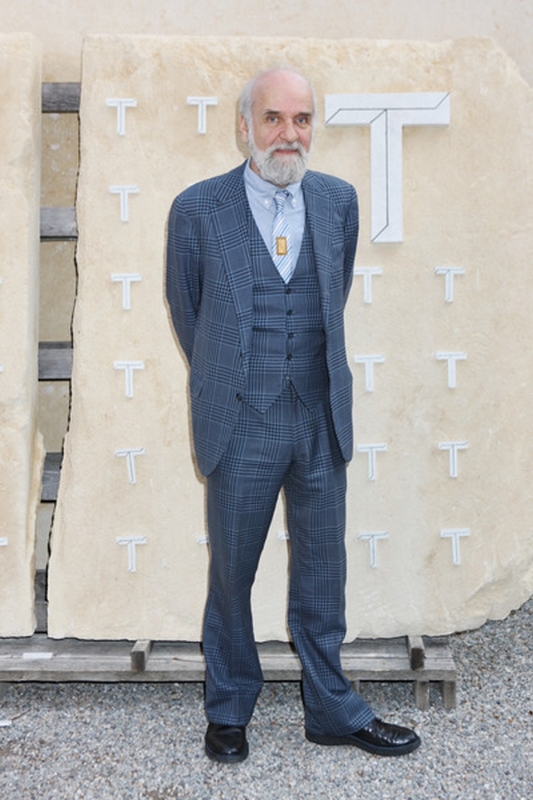 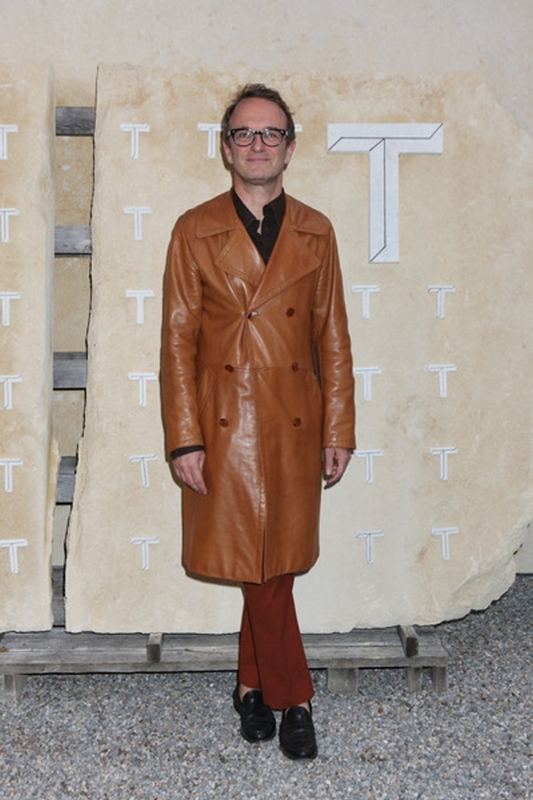 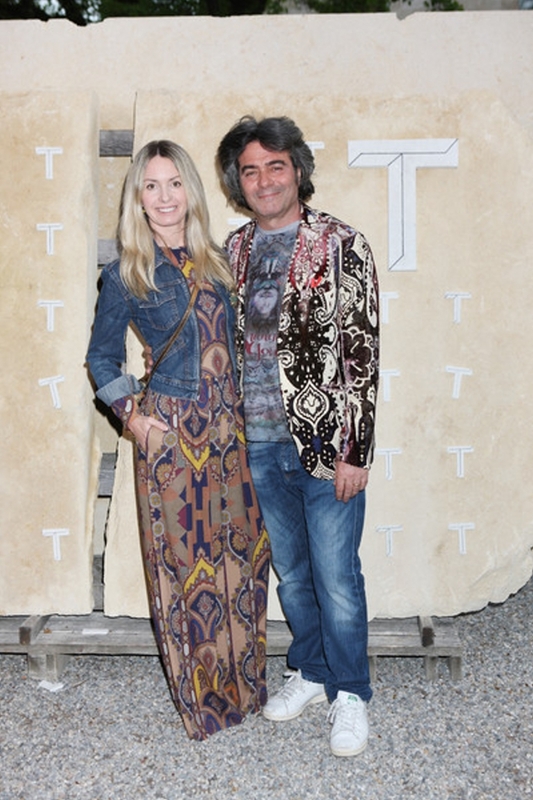 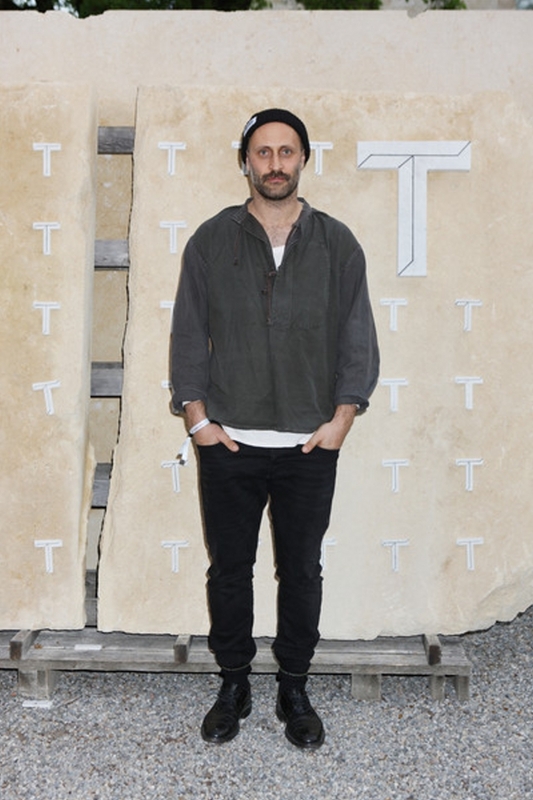 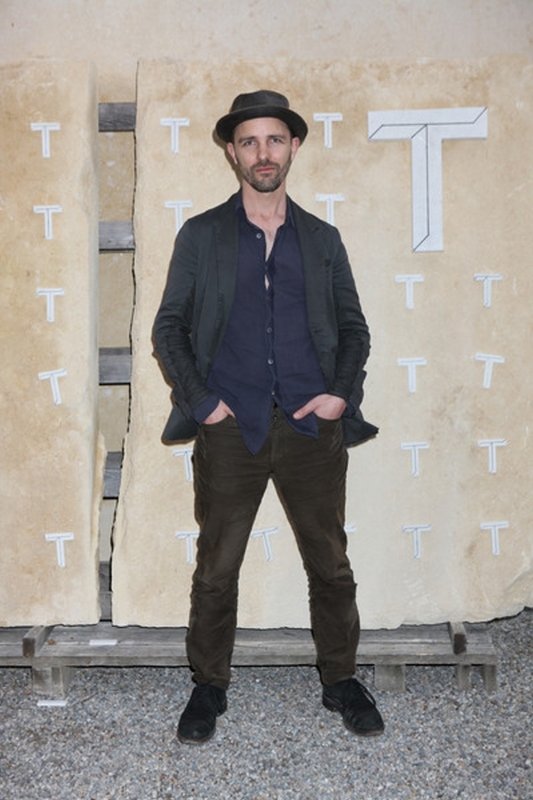 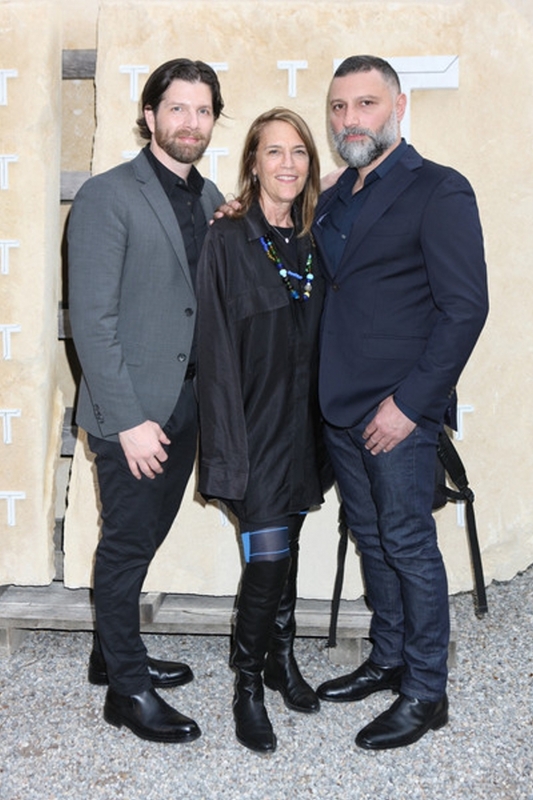 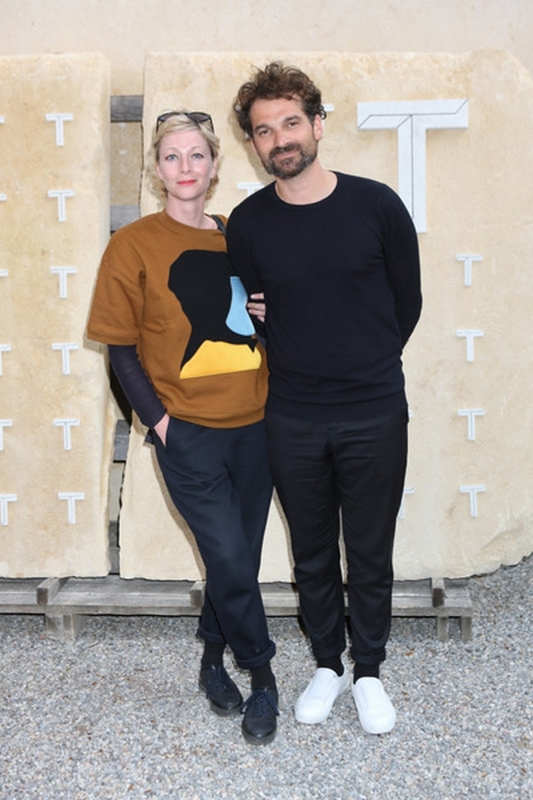 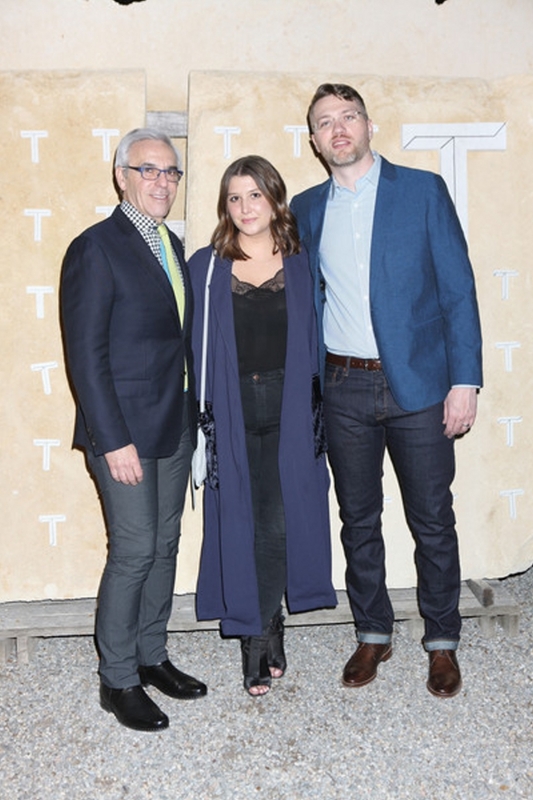 For the third year in a row, the hotly anticipated T Mag party of Salone Del Mobile kicked off despite the threat of rain over head. 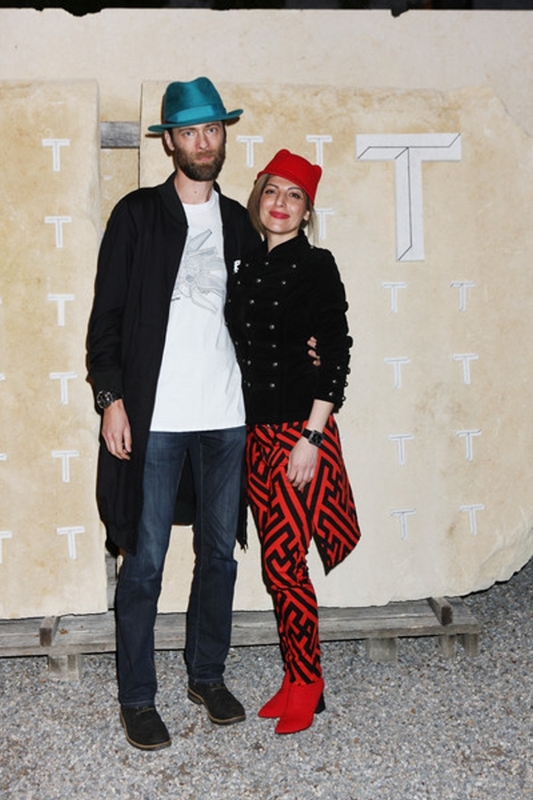 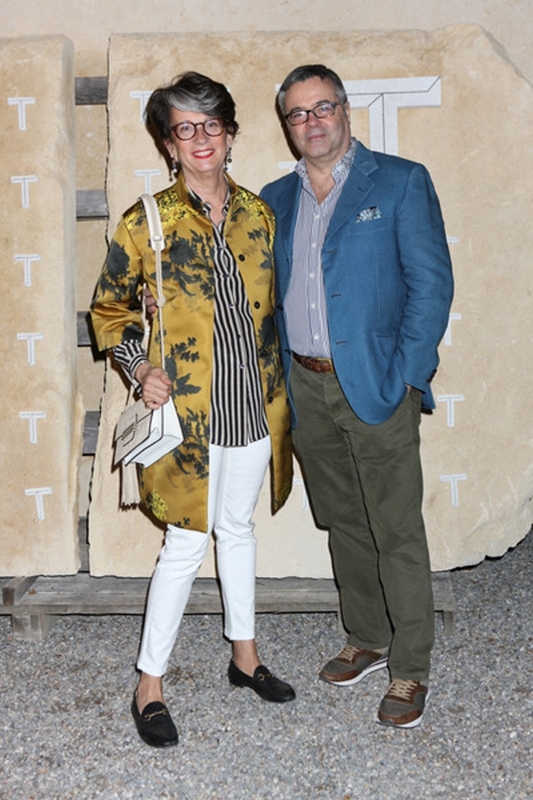 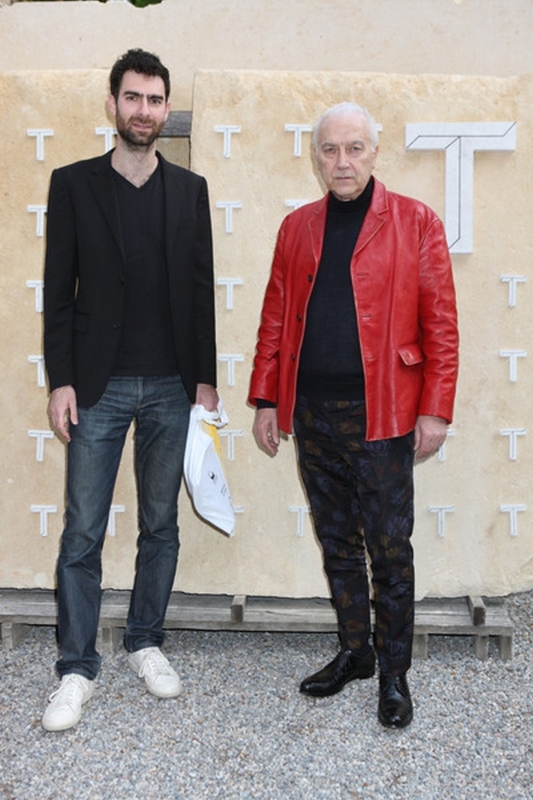 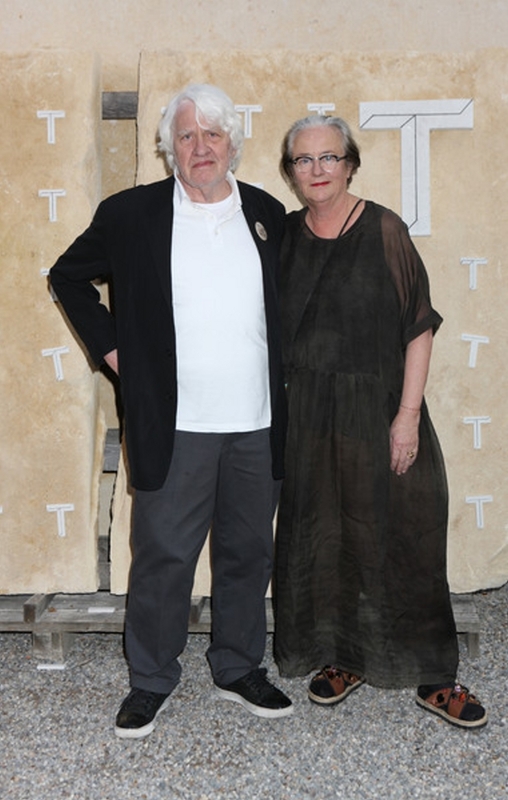 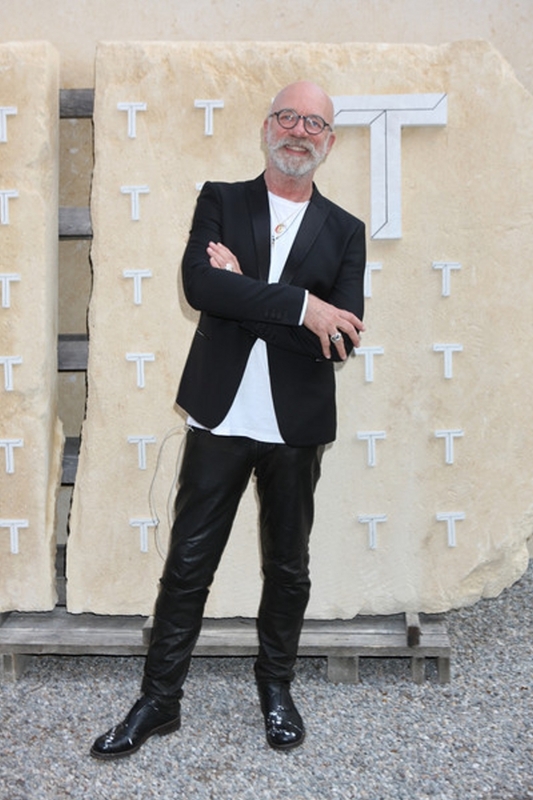 The party was held pool side at the legendary Villa Nechi Campiliglio and designed in conjuction with architect Andrea Tognon (who created a special one off chair from concrete and fur for the T’s Design Issue). 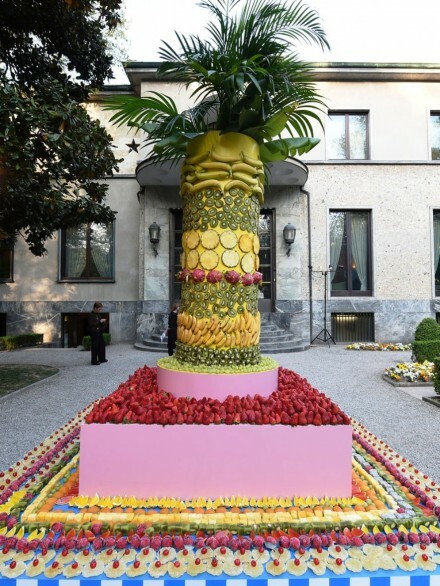 In the pool were a series of sculpture studies for massive concrete planters recently stationed outside Milan’s La Rinascente Department store. 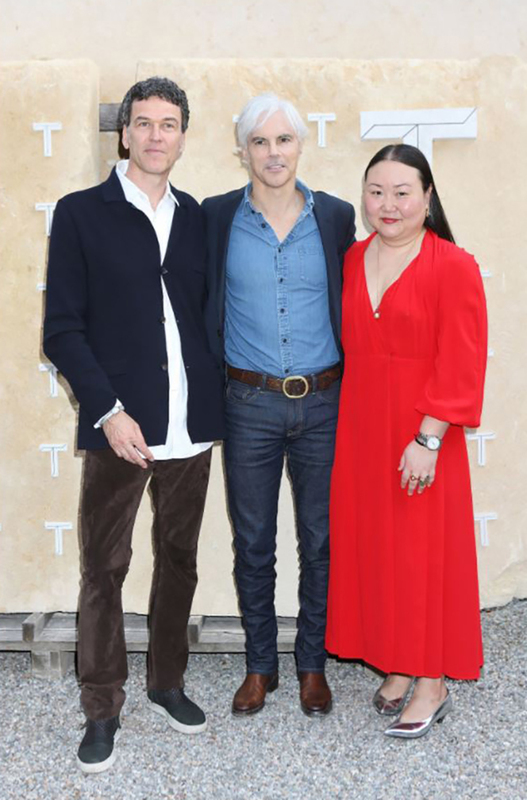 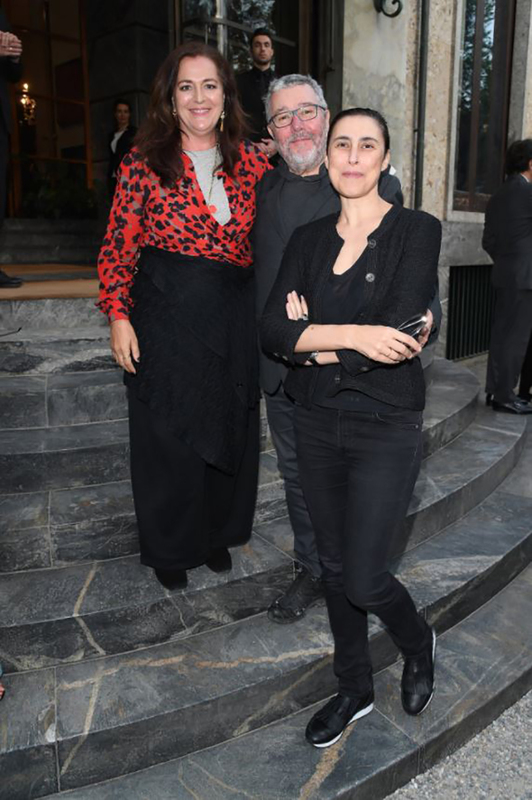 Guests including Angela Missoni, the designer Yves Béhar, Laura Sartori Rimini and Roberto Peregalli of the design firm Studio Peregalli, the designer Ashley Hicks and Gucci C.E.O. 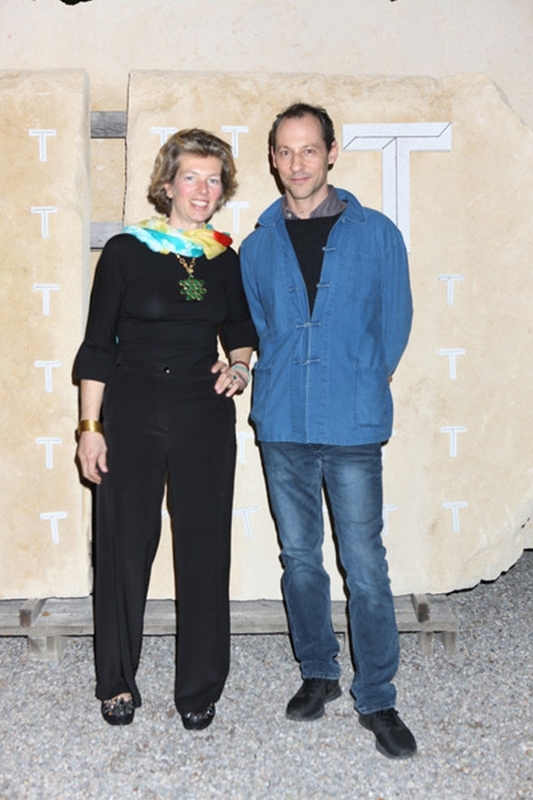 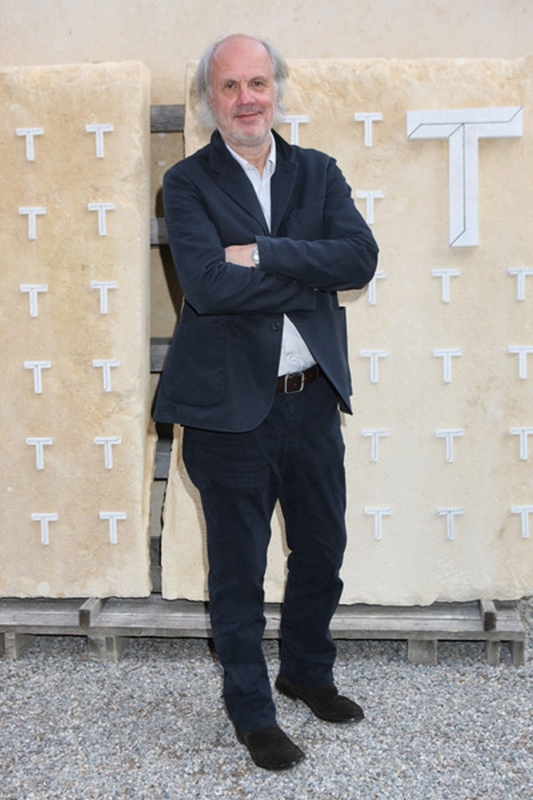 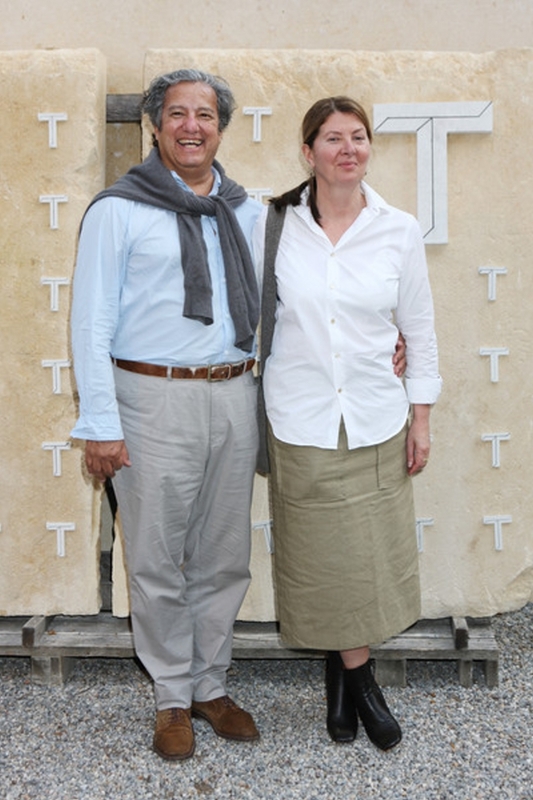 Marco Bizzarri, enjoyed antipasto and chatted about the installations they’d seen that day. 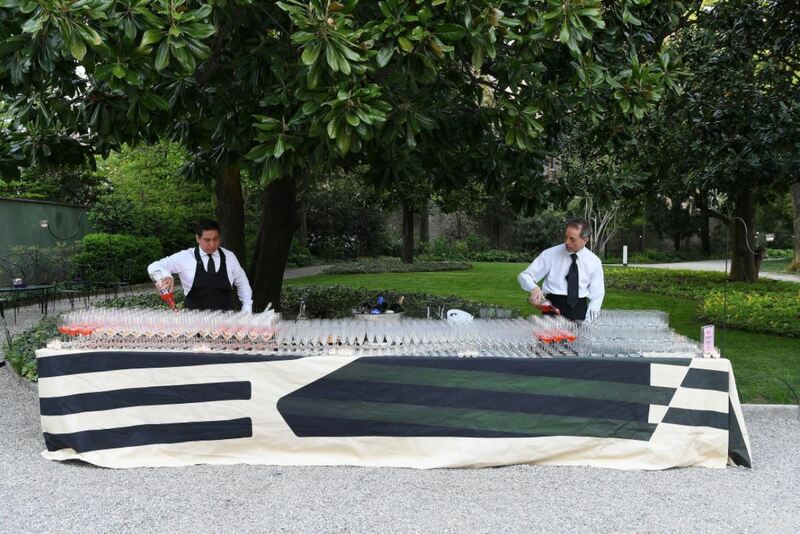 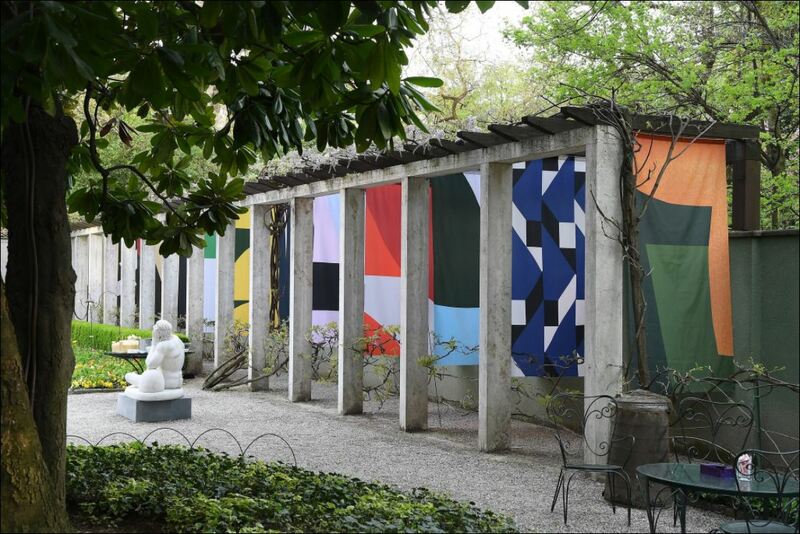 Graphic flag installations designed by Tognon were placed throughout the garden and draped on the bar where Negroni’s were served. 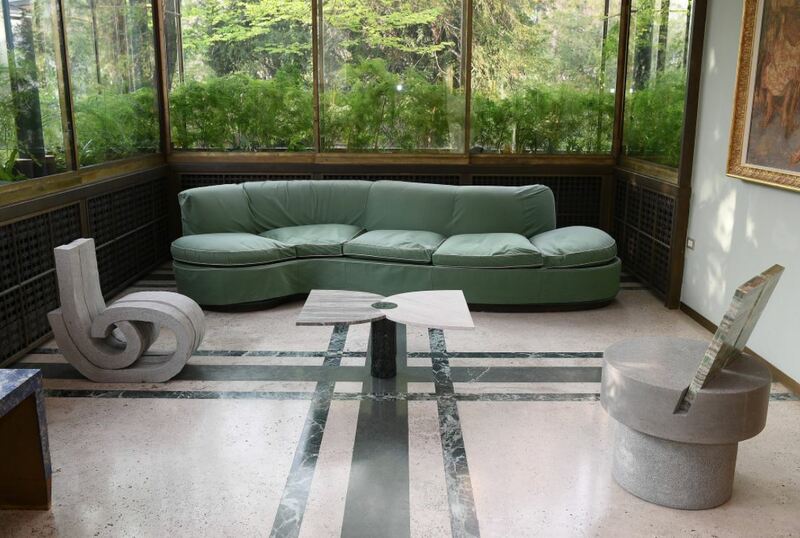 Tognon’s furniture prototypes (crafted from concrete and marble) were placed in key rooms throughout the Villa. 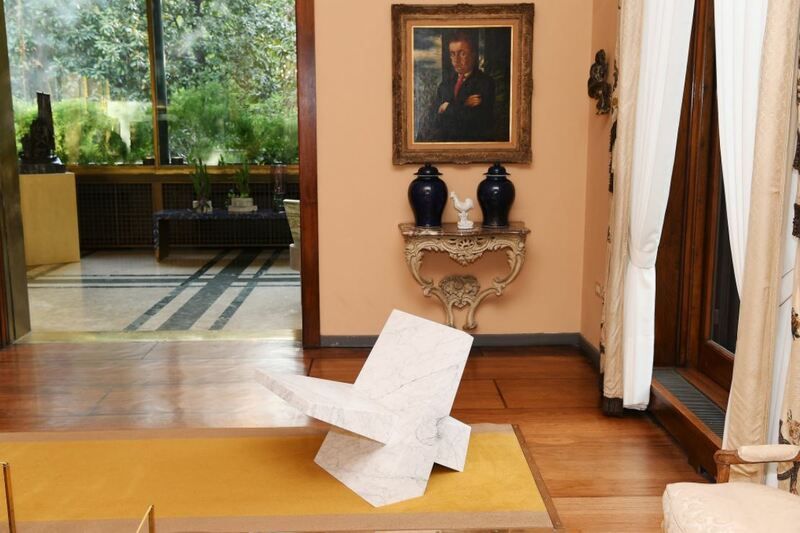 It was the first time contemporary furniture pieces were installed among the original furnishings of the 1930s home, designed by Piero Portaluppi. 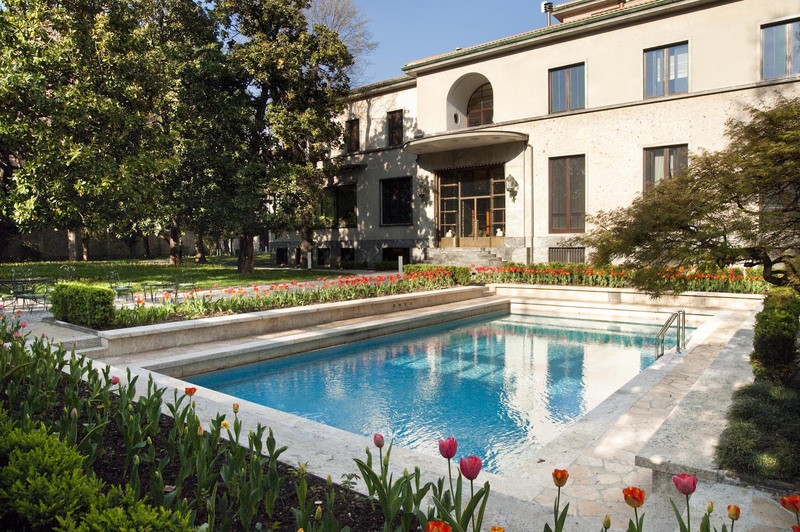 Secluded in the heart of an elegant and quiet district of central Milan, Villa Necchi Campiglio was designed in the 1930’s by architect Piero Portaluppi on behalf of the sisters Nedda and Gigina Necchi and Angelo Campiglio, husband of Gigina. 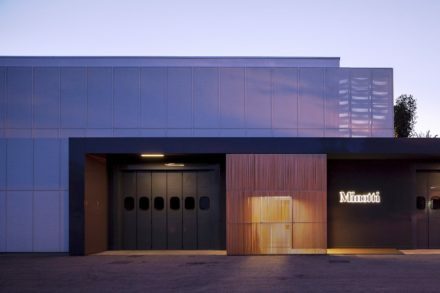 The building is set in a beautiful garden with a tennis court and swimming pool and is punctuated by large linear volumes. 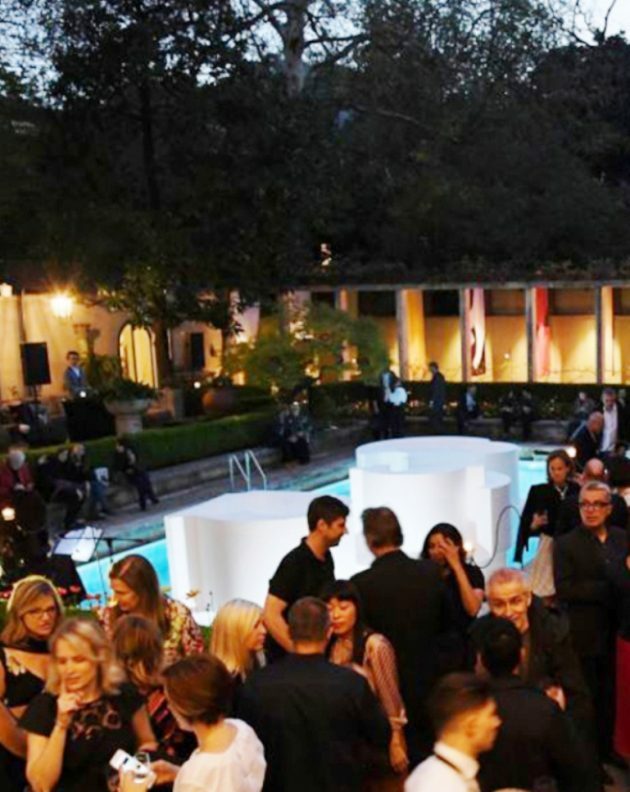 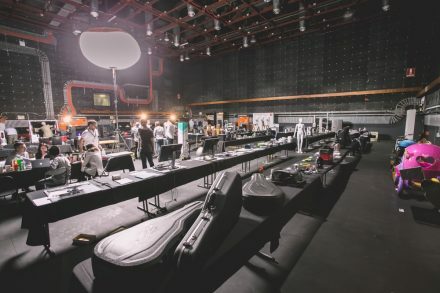 The floorplan was incredibly modern for its time, with a projection room and gym designed for its occupants. 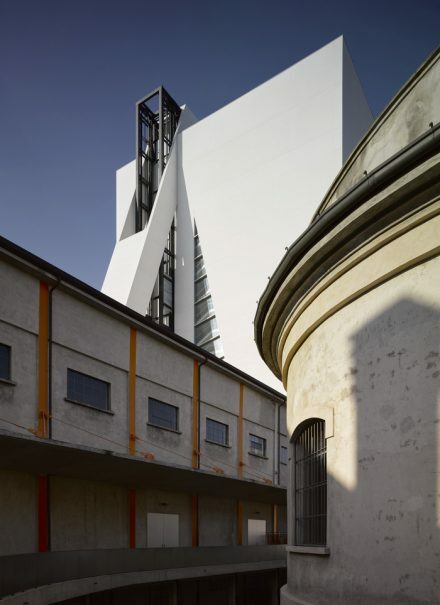 Other features included lifts, dumbwaiters, intercoms and sliding doors. 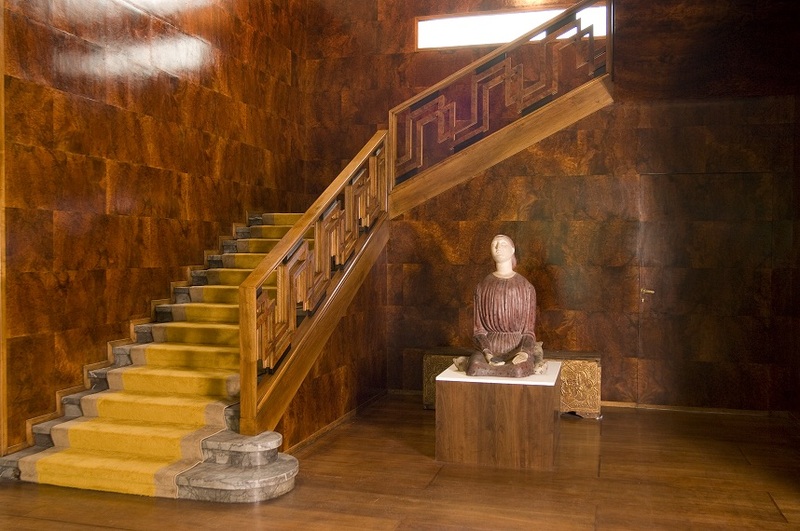 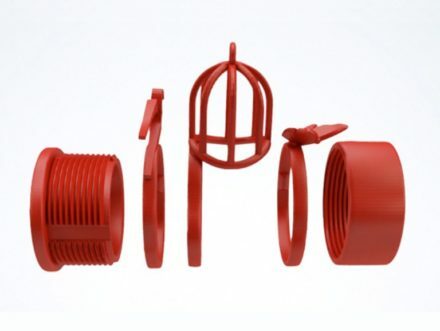 This made the Villa incredibly modern and the residence a symbol of the era.